The Joseph Kuosac or JK e-bike cranks are designed for e-bikes with ISIS drive spindles on either side of the motor. Bosch and Brose motors both use this system. We offer these in long and short lengths for all sizes of E-bike. Since we haven't had the opportunity to test these on every E-bike motor, you may return them if they don't work on your bike. 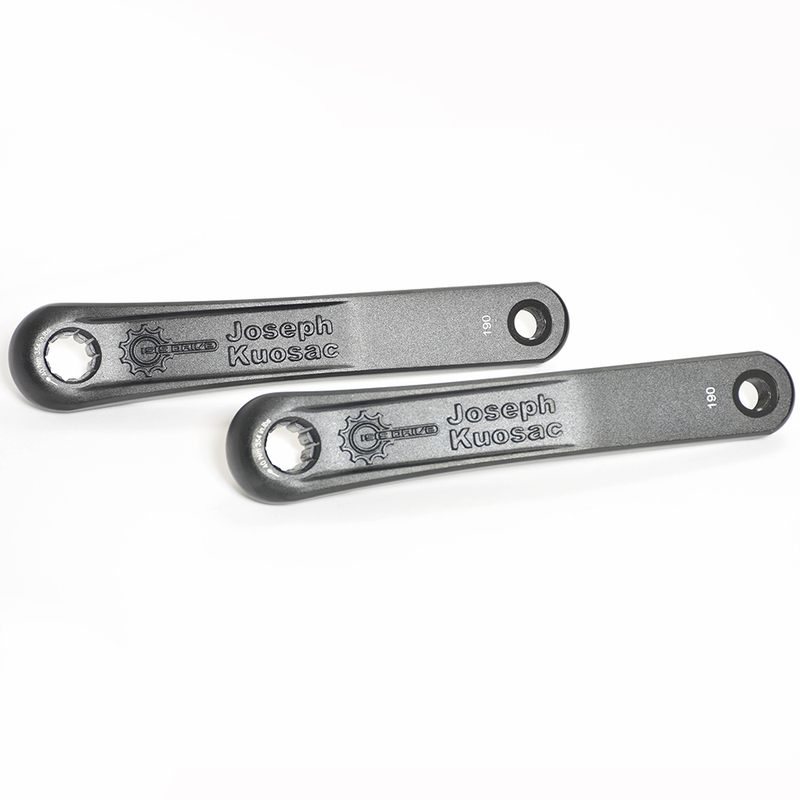 These cranks will work with road or mountain e-bikes with frame based motors. Will not work on e-bikes with wheel mounted motors.